I told my son about what happened to Daniel Morcombe. 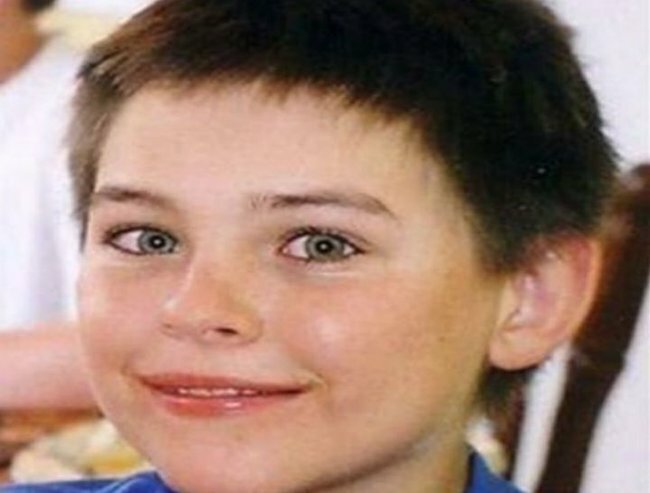 Why one mum told her son about Daniel Morcombe on his 8th birthday. For my son’s eighth birthday I told him about Daniel Morcombe. I told him about a boy who went out to buy Christmas presents for his family and never returned. How his family searched for him desperately for eight long years. How one minute he was waiting for the bus. The next he was gone. Forever. I told him how his parents began to wonder whether they would ever find their son, whether they would ever know what happened to him. I told him of their torment, their terror and their tears. I told him of Daniel’s twin brother. I asked him to imagine how it would feel to have his own brother go missing and never know what happened to him. Then I told him of how eight long years later, (as many years as my son had been alive), the police found Daniel’s bones, his shoes and his belt. I told him that a man, a bad man, who had been known to hurt children before, had taken Daniel from the bus stop. That he had killed him. I told him of how the police had tried their hardest to stop the bad man from being able to hurt children anymore but that sometimes people fall through the cracks. I told him of how Daniel&apos;s parents then found out their boy had died. How they had never stopped loving him and that their lives had been turned over by their sadness about the death of their beautiful boy. I showed him a photo of Daniel’s smiling face. My son listened, drawn in with every word. He said Daniel looked like his mate’s older brother and he asked me if I thought Daniel liked to skate. He asked me how Daniel’s parents and brother were now. "I told him about Daniel&apos;s parents searched for eight years." As I told him, I worried I was telling him too much. I worried I was trading on the story of a sweet natured 13-year-old who met an awful death in a way that wasn’t right. I wondered what the parents of Daniel – who I had watched hundreds of times on the news – would think of me using their son’s story that way. I feel slightly uncomfortable that I was using Daniel Morcombe’s killer as a boogey-man type scenario. And when I had finished I turned from my son and choked back the tears that were forming in the edges of my eyes. When I had finished I swallowed the lump in my throat and held my eight-year-old boy and stroked his hair. I told him how fiercely I loved him and how wonderful the world was. But I warned him about how life could hold people who weren’t so wonderful, who didn’t love him as fiercely, and how he needed to be careful. The Daniel Morcombe Foundations 31 Safety Strategies for kids. Post continues after video. Why did I tell my son this terrible tale? You probably think it’s macabre. I don’t judge you for that. We all parent in different ways. I know my son and I know his capacity for fear and reality. He’s the son of a journalist. He hears me talking of children dying and bad men holding innocent people for ransom in chocolate shops. He reads the front pages of the newspapers and asks me questions about the world. But he is also an optimist, a trusting boy, a child who wants grown ups to like him and think he&apos;s funny, that worries me a little. I want my son to be able to have some independence. I don’t want to overshadow him and condemn him to a childhood of scheduled playdates and screen time. I want him to ride his bike in the streets with his friends, to walk the block to the local shops and buy a Paddlepop on a hot day with his brother. I want him to knock on a neighbour’s door and ask if his mates wanted to go out to play. But I also want him to be safe and aware and in my way – which may not be yours – I am trying to protect him with the truth. I want to prepare him without fear. I don’t want him to be afraid that he has to be polite to all grown ups. I don’t want him to feel he has to be willing to trust them all and do what they say. "I told him of how Daniel Morcombe went to buy Christmas presents for his family." It&apos;s sad, I know, that I feel in order to do that I have to destroy his natural outlook that the world is safe – but I want him to be aware, to be intuitive. I want him to know that not all people love him and cherish him and want him safe – though there ARE hundreds who do. On my son’s eight birthday I destroyed his innocence to make him safe. What a terrible - and yet at the same time wonderful - world we live in. Would you tell your child about Daniel Morcombe? October 30th is the 11th annual Day for Daniel. It is about educating children and adults about keeping kids safe through child safety and protection initiatives. It aims to help empower our children to Recognise, React and Report if they feel something is not right. For more go to the Day For Daniel website.